The 4 training plans contained within this packet details 24 weeks of cutting edge, day-to-day training for Law Enforcement Athletes. Stamina – Different from endurance, “stamina” is the ability to stay mentally and physically fit and ready for long events, or multiple short events over a long duty day. 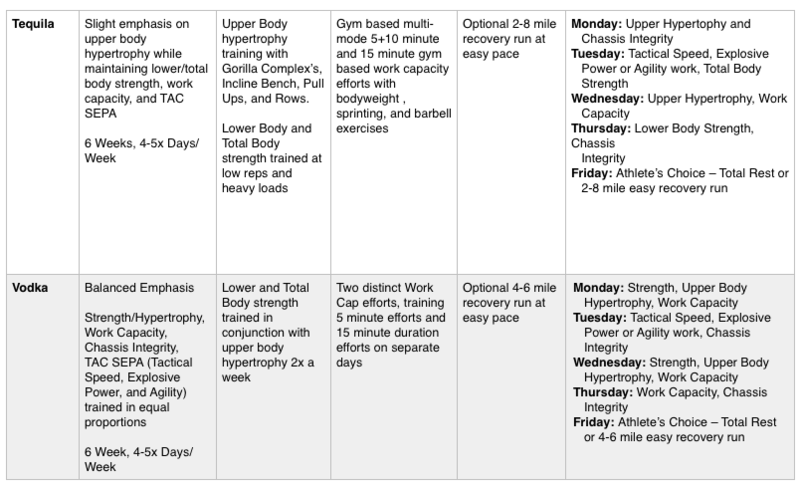 “Fluid Periodization” is our methodology of training these five fitness attributes concurrently with either balanced cycles, or cycles with subtle emphasis on one or two of the attributes. – Sessions designed to be completed in any functional fitness gym which includes barbells, bumper plates, kettlebells/dumbbells, plyo boxes, sandbags (40, 60, 80#) and a short sprinting area (inside or outside) – 25m. 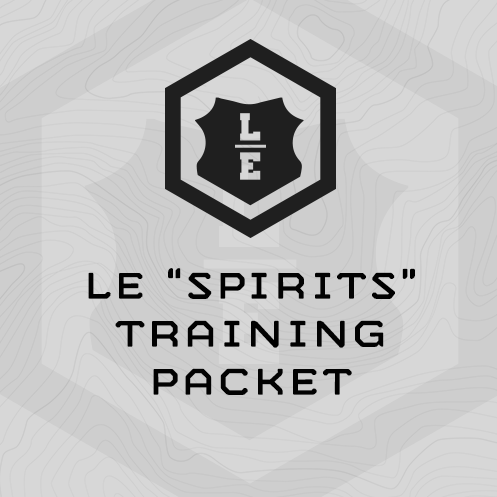 – Broader descriptions of the individual training plans are below. The price for this packet of plans, $137, represents a 30% savings over the combined price of the individual plans. Sessions designed to be completed in any functional fitness gym which includes barbells, bumper plates, kettlebells/dumbbells, plyo boxes, sandbags (40, 60, 80#) and a short sprinting area (inside or outside) – 25m. - Sessions designed to be completed in any functional fitness gym which includes barbells, bumper plates, kettlebells/dumbbells, plyo boxes, sandbags (40, 60, 80#) and a short sprinting area (inside or outside) - 25m. 10x Face Down Back Ext. "Just wanted to let you know how your program has impacted me. 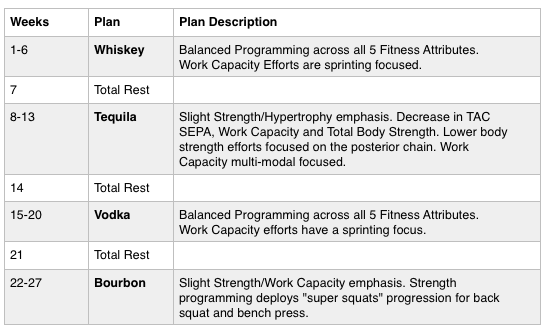 I’m only on week 4 of the Tequila program but have already seen drastic changes. I used to only weight lift and didn’t incorporate anything else. I have seen my cardio get better and I even feel better. I am State Trooper assigned to help the New Orleans Police Department in the French Quarter. Today I was involved in an incident dealing with a subject on “mojo” and had to wrestle with him for about 10 minutes until backup arrived. I think your program has helped me tremendously for situations just like that. Thanks for what y’all do, I’m looking forward to using some of the other plans." "I’m on my 4th plan and I’m loving every one I’ve tried. I’m a Connecticut state trooper currently working out of our training academy and the exercise plans are awesome. One of my coworkers who is our pt instructor and a member of our tac team turned me on to your website and I’m hooked. Thanks for all the great information."